Mirus Gallery is excited to present a solo exhibition by Japanese artist Yoh Nagao. This is his first solo exhibition in the United States. The exhibit opens Friday May 3, 7-10pm and is on display though June 1, 2019. 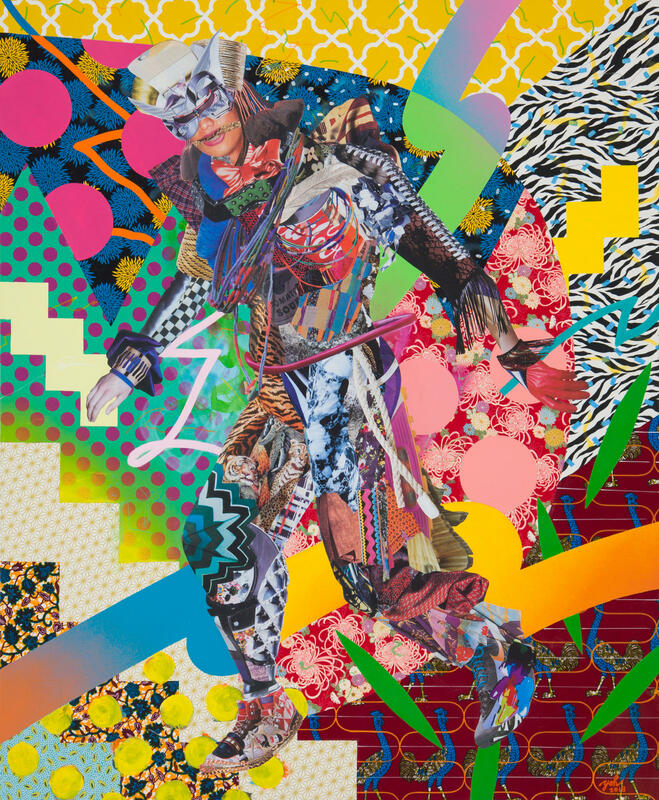 Yoh Nagao is a Yokohama born and Nagoya raised Japanese pop artist. He is passionate to pursue his artistic and philosophical theme “We the future indigenous” by combining painting and collage in his art pieces. Nagao is one of Japan's leading international artists and since his much acclaimed solo exhibition in Hong Kong in 2009, his works have been exhibited around the world including Zurich, London, Paris, Berlin, New York, Tokyo, New Delhi, Miami, Los Angeles, Mexico City and Denver. In the international competition, the ARTAQ Urban Art Award awarded him an honorable mention at the Collage division of France. In 2008, his work was exhibited in the famous boutique Colette in Paris. And his work also has been selected at UNIQLO Creative Awards(UT GRAND PRIX) in 2005. In recent years, Nagao has been invited to No Commission hosted by Bacardi USA and HipHop producer Swizzbeatz, made the art visuals for European Asics limited edition sneaker campaign and illustrations for the JRA Chukyo Racecourse annual campaign in 2015. Furthermore, he has been featured in world-renowned magazines such as JUXTAPOZ (USA), DAZED AND CONFUSED (UK), LODOWN (Germany), dpi (Taiwan). Nagao has been invited to hold collage workshops in many cities of the world to share his passion and philosophy with future generations. To experience indigenous cultures and gather inspiration and material for his art pieces, Nagao conducted field work projects in Mexico, Namibia, Mongolia where he visited ethnic groups and learned about their customs. In 2017, he temporarily came back to Japan from Berlin, which had been his base for over five years, and is now working in his atelier in Nagoya city aiming to move to USA as his next step. Nowadays, in many developed countries, we are constantly being controlled by media and information and the human folly and conflict, discrimination, resource exploitation and environmental destruction are unstoppably getting worse and worse. However, even in this modern era, there are still many people on this planet that are not influenced by modernization and civilization, which we call indigenous people. But in hundreds of years, we will become the indigenous people to our future descendants. As our given lives and cultures are on an extended line that has been inherited from our ancestors, we have to ask ourselves: What could we leave for our descendants? Many of the indigenous people of the world have lived richly and simply with very limited resources and Nagao assumes that there is an inventive strength that our ancestors developed and cultivated for over several hundred years even before the invention of language. Records of it were printed on the DNA and passed down to our generation. Therefore, many of their elements of folkloric decoration and color usage are still found in modern culture. 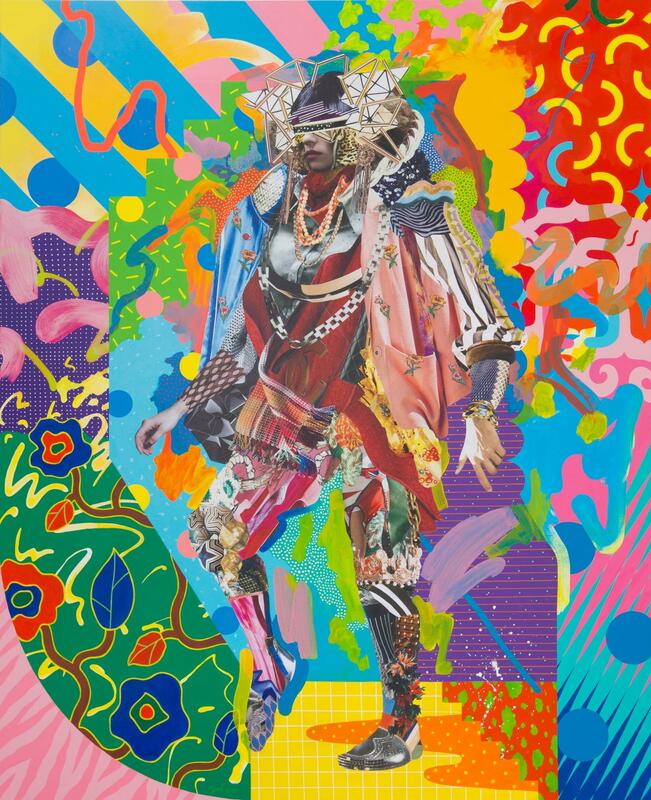 Since Nagao combines these elements that human beings originally possess from the past to the present, he can communicate with people with diverse roots, cultures and values and connect them to each other through his art. You can find many ideas through his work and the experience and knowledge from real field work and research. Nagao's artistic mission is to inspire this instinctive virtue and enrichment to more people for a brighter future.